So this is the first instalment of my Glamour Puss Hotels section with the aim of discussing glam 5* hotels around the world which I have tried and would recommend. I am always looking for reviews of hotels and do not pick a hotel without consulting Trip Advisor or google first. For me, the hotel is a really important ingredient in making a trip amazing. It has to be in the best location, with the best facilities, for the best price. Asked for the best view possible and got it, full view of Jumeirah Beach from the balcony. Hotel is in a great spot on The Walk which lots of shops and restaurants within walking distance. Totally worked for us as so central. Not really much interaction with the staff, the hotel seemed busy and although it was my friends birthday they didn't do anything special for her like leaving a cake in the room. Breakfast was pretty good. The service at this hotel is what stands it apart from most. Totally spoilt from checking in to leaving, someone even cleaned my sunglasses for me without asking! The beach and pool area and hydrothermic pool are just amazing and we just stayed there all day. Loved the cool box of water and the frozen fruit treats! Perfect for R&R and will definitely stay here again. Breakfast was just wonderful! We stayed Executive Level which is amazing value and the service went the extra mile. We stayed for a friends birthday and the hotel left us gifts and flowers and was absolutely wonderful in making the stay special. Great beach and pools and plenty of restaurants and bars to go to. Could definitely just stay in the hotel area no real need to venture out. Loved this so much went back again in January 2017 and got the same service and treatment even though this time we were just staying because we wanted to rather than a special occasion. Really enjoyed the beach this time, the white sand is lovely! Stayed at the Shangri La in the Waha Hotel which is the cheapest option out of the three. It is actually the family hotel, Bander is the slightly more expensive option and the Husn is the adults only 5* option. 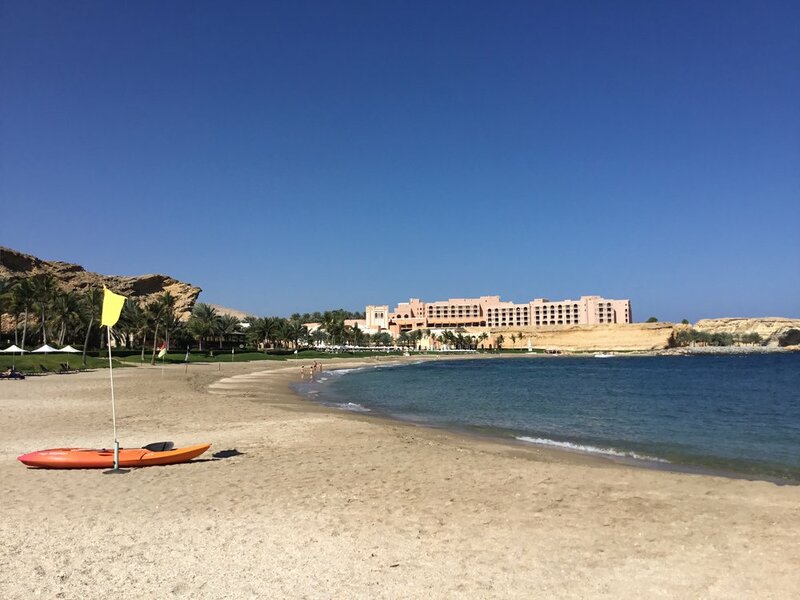 I loved the Waha Hotel as it has great pools and next to the beach and we had a wonderful balcony attached to our room with a view of the pool and the sea. You can access the Bander sunbeds further down the beach and we also went in to the Husn area to try out the Moroccan restaurant (the food was amazing by the way try the tagine). Did not leave this hotel as there was plenty to see and do and was just perfect weather in January! Great breakfast and you can have breakfast in either of the hotels if you are staying at Waha or Bander. Have to say that the winner out of these is a tie. The Four Seasons Doha because the service was second to none and it was just a wonderful stay. Felt extremely rested and relaxed and well looked after. Ritz Carlton is a tie because of the amazing staff working on the executive level as we were made to feel so special for my friends birthday. Have to name drop Raffaella Coppola as she really went the extra mile for my friends birthday and made her feel very special indeed. Thanks very much!